Most noble lady, it is not without reason that all turn their eyes to you; that all admire love and obey you. For they see your two-fold virtues by which you are so much distinguished above all other mortals. Whilst on the one hand, they admire your riches and immutable prosperity, which secure to you the nobility of your lineage and the loftiness of your rank, they are, on the other hand, struck by your rather divine than human beauty, and believe that you are not born in our days but descended from Heaven. All look at your face so bright and serene that it gives splendor to the cloudy sky; all look at your eyes so brilliant as stars which make all pain to be forgotten, and turn despair into delight; all look at your neck which outshines pearls, all look at your fine forehead. Your purple light of youth, your fair hair; in one word at the splendid perfection of your person:-and looking at they cannot choose love but you; admiring they cannot choose love but you; loving they cannot choose but obey you. I shall, perhaps, be the happiest of all your admirers, and the happiest man on earth, since I have reason to hope you will think me worthy of your love. If I represent to my mind all your perfections, I am not only compelled to love, to adore and to worship you, but love makes me your slave. Whether I was waking or sleeping I cannot find rest or happiness except in your affection. All my hopes rest in you and in you alone. I beseech you most noble lady to accept for ever one who in all things will cheerfully do as your will as long as his days shall last. Farewell, my soul and consolation. You, the brightest ornament in Scotland, farewell, farewell. Did Perkin Warbeck actually write this letter? Someone may have dictated the letter to Warbeck although it’s not impossible he wrote it himself as he appears to have been personable and intelligent. However, the language used in this letter is not at all like the letter he wrote two years later to his mother in Tournai. It was common practice during this era for young people to copy patterns for letter writing so the language used is very conventional and what Katherine Gordon would have expected to read. It’s impossible to say if the sentiments were real or imagined. The truth of the matter is, we will never really know. “The Records Of Aboyne Mccxxx-mdclxxxi “, ed. Charles Gordon Huntly (Aberdeen: The New Spalding Club, 1894), p. 413. Susan Abernethy is the writer of The Freelance History Writer. 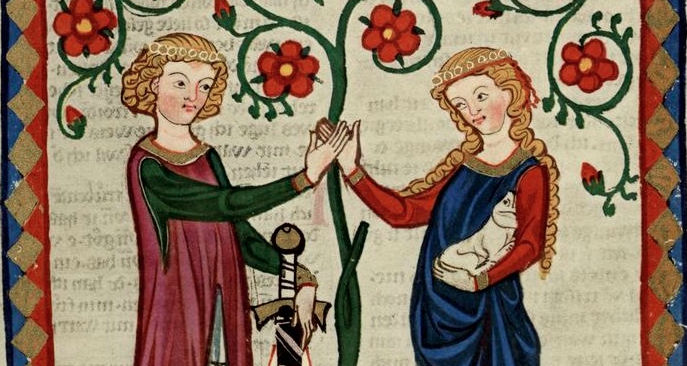 Follow Susan on Facebook at The Freelance History Writer, and at Medieval History Lovers.